Most front sprockets require the use of a retainer with bolts to secure the front sprocket to the ATV. 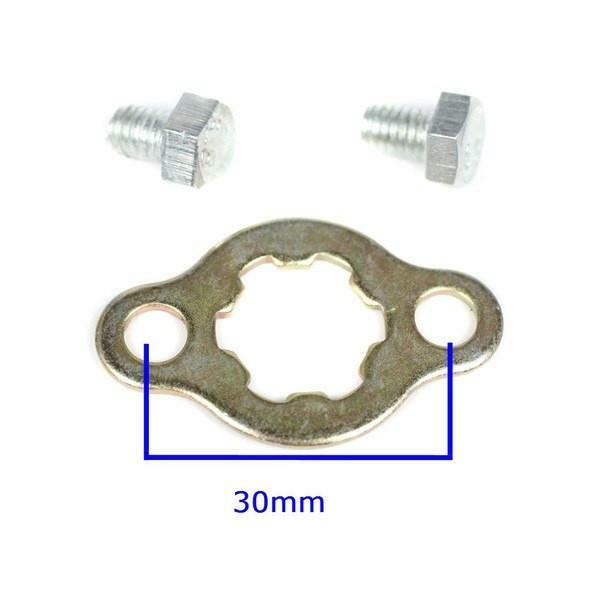 The retainer is used on the Chinese 50cc - 125cc engines. 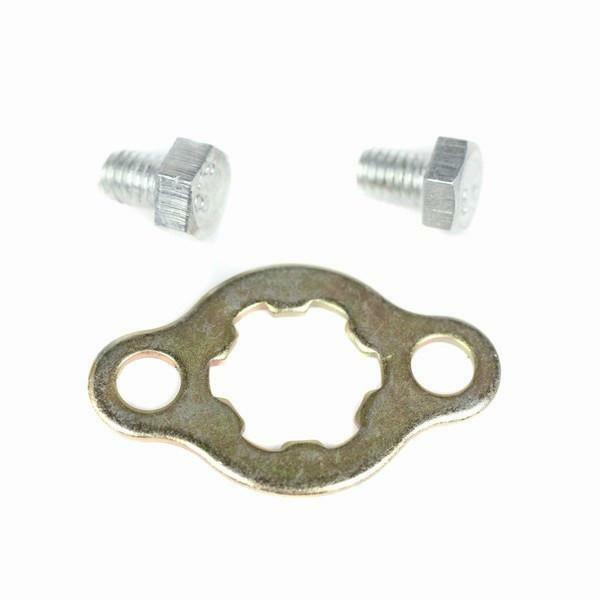 A few sprockets on smaller ATV's require a C-clip and not this retainer.